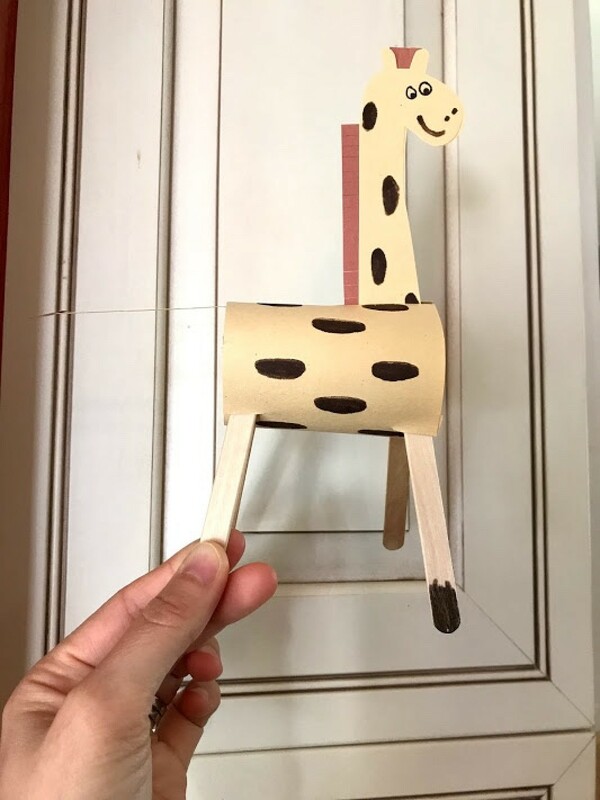 This is an easy animal toy craft you and your child can make together. 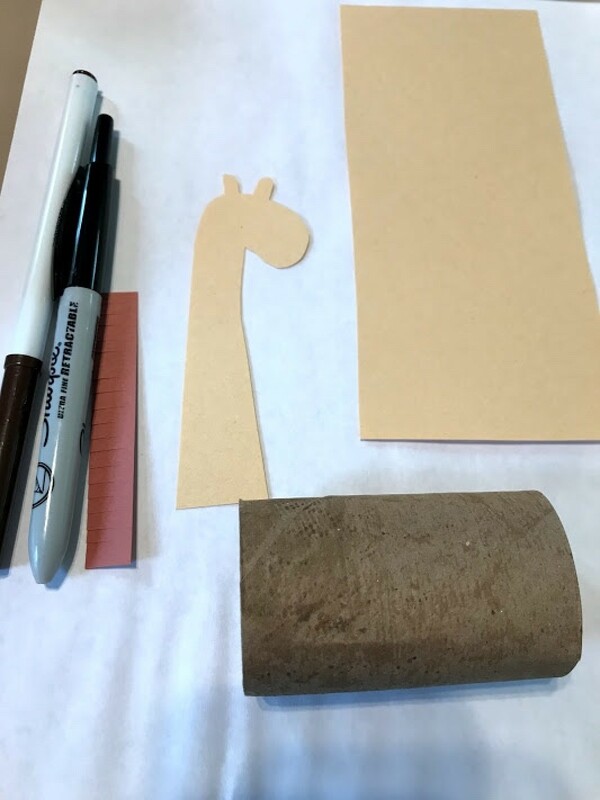 My toddler is making a zoo exhibit with his Legos and wanted to make a giraffe. 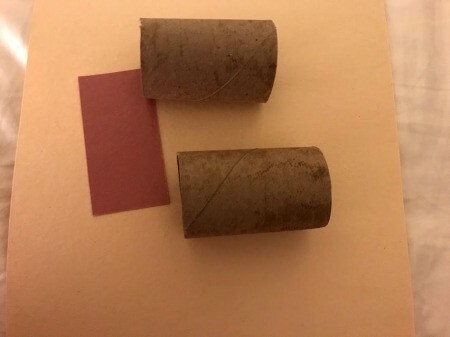 Cut the TP roll in half. 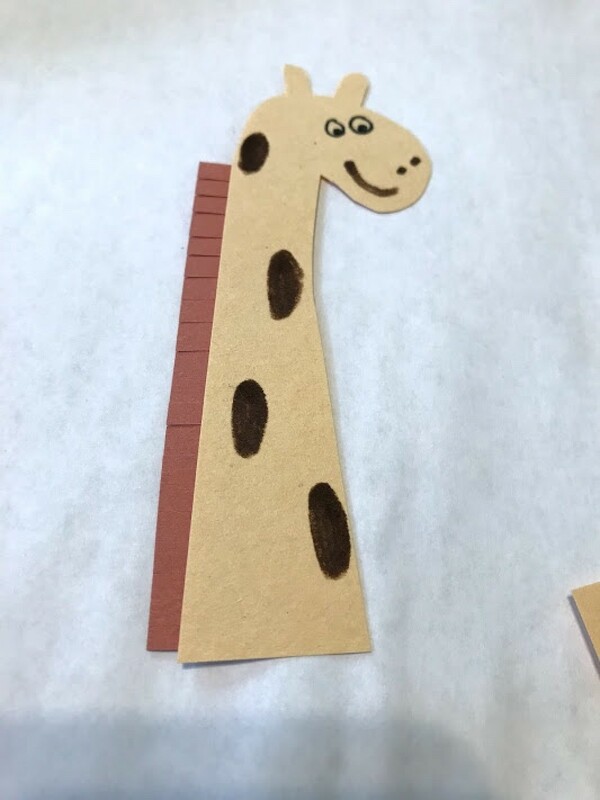 Freehand and cut out 2 giraffe heads, 2 rectangular strips of brown paper, and a larger rectangular piece of paper to fit half of a toilet paper roll. 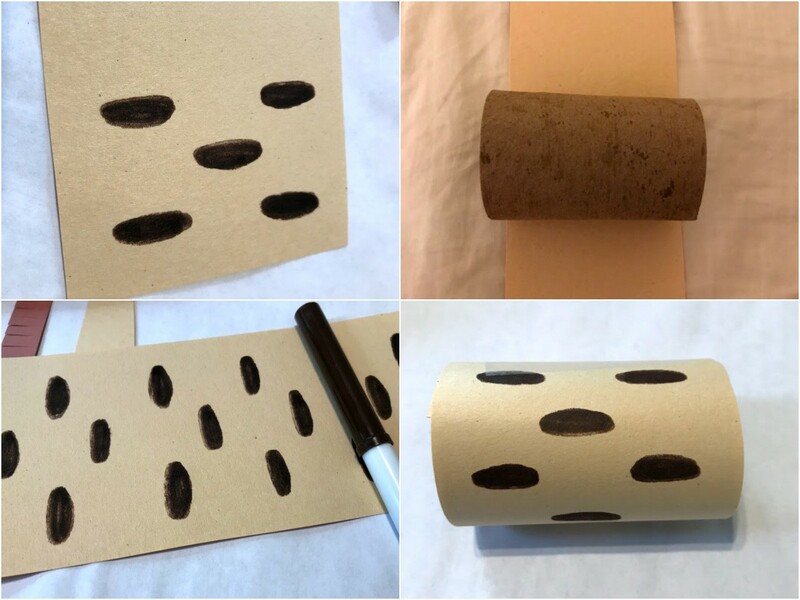 Draw brown shaded oval spots on the rectangle of paper and tape/glue around toilet paper roll to resemble body. 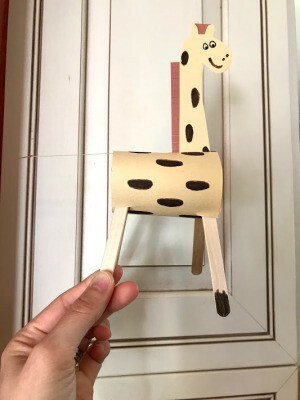 Repeat process with the giraffe head. 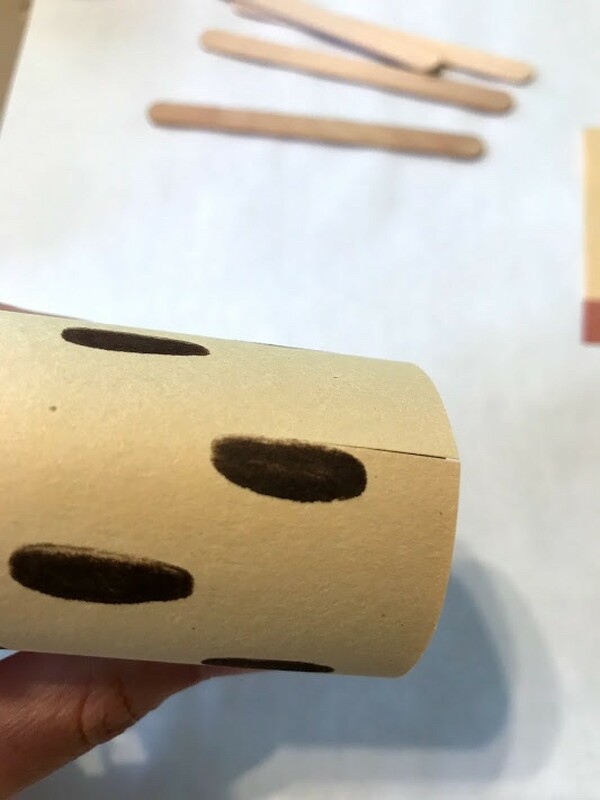 Draw spots and facial appearance. 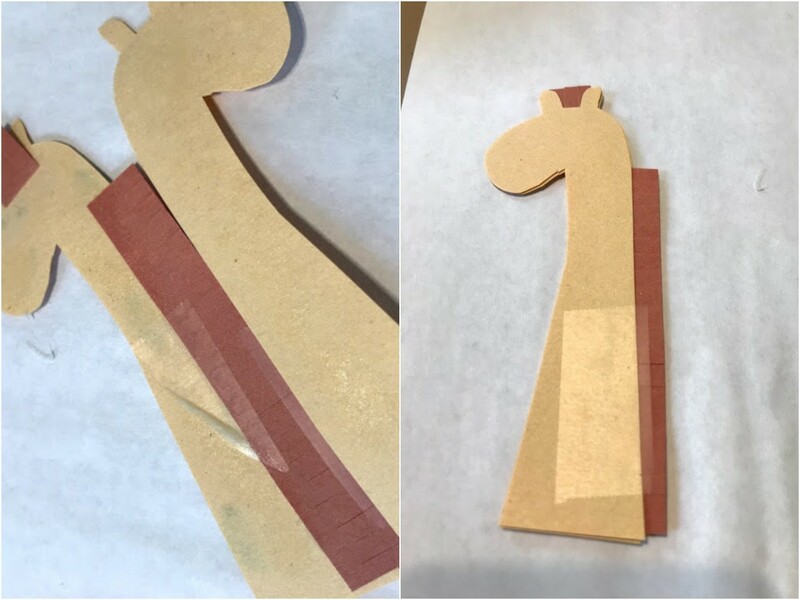 Cut slits (fringe) into the brown paper. 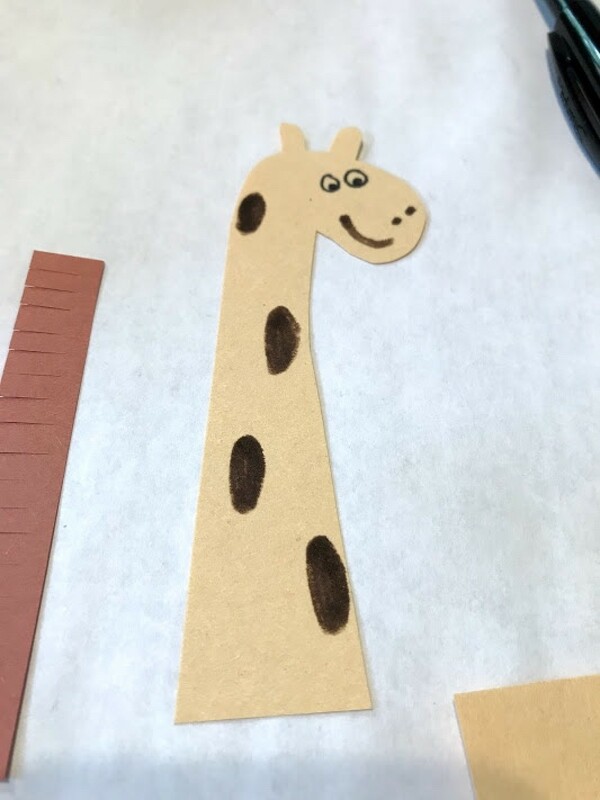 Tape brown fringe to giraffe head and a little bit above the ears. 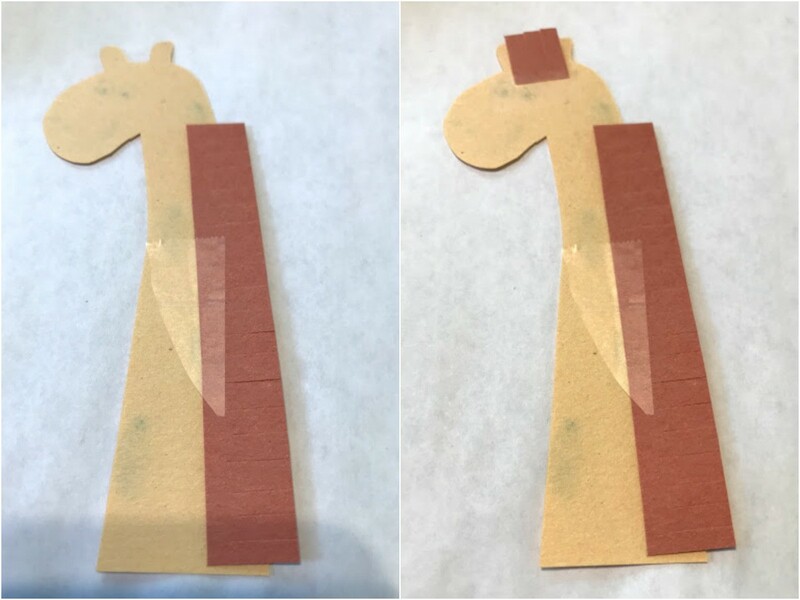 Tape the other blank giraffe head to the back side of the decorated one. 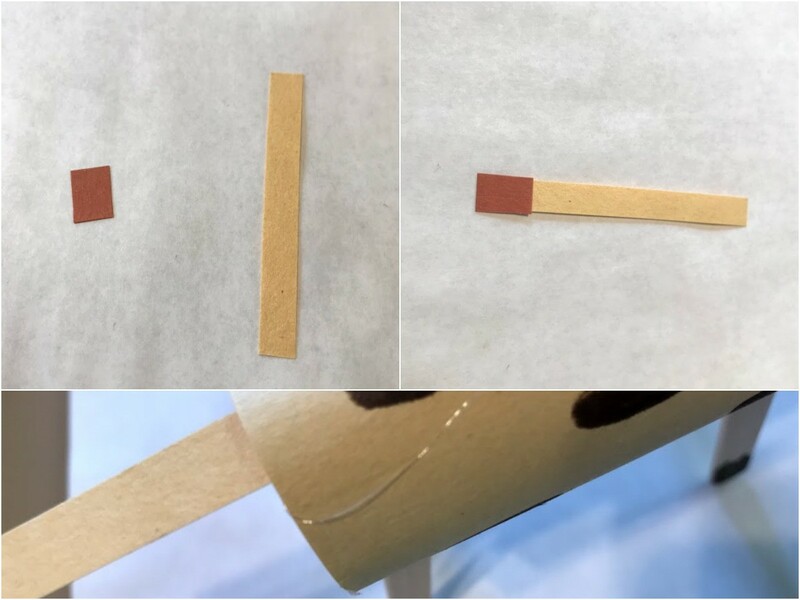 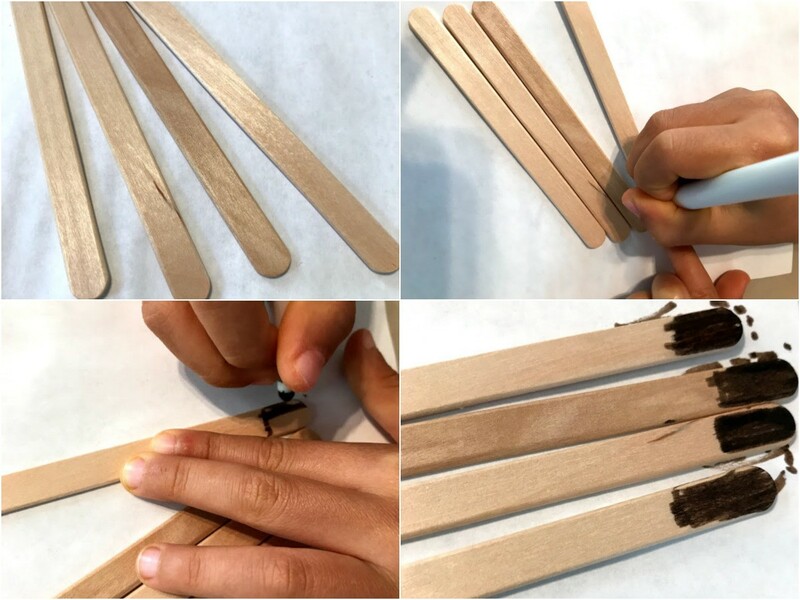 Color the tips of the craft sticks for hooves. 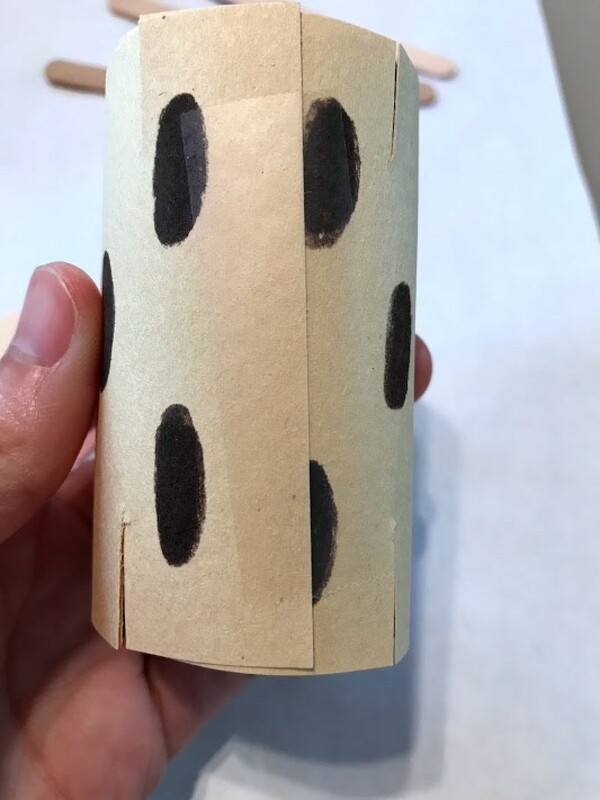 Cut four slits in the body (toilet paper roll) for the legs. Then then on the end of the roll cut one in the middle. 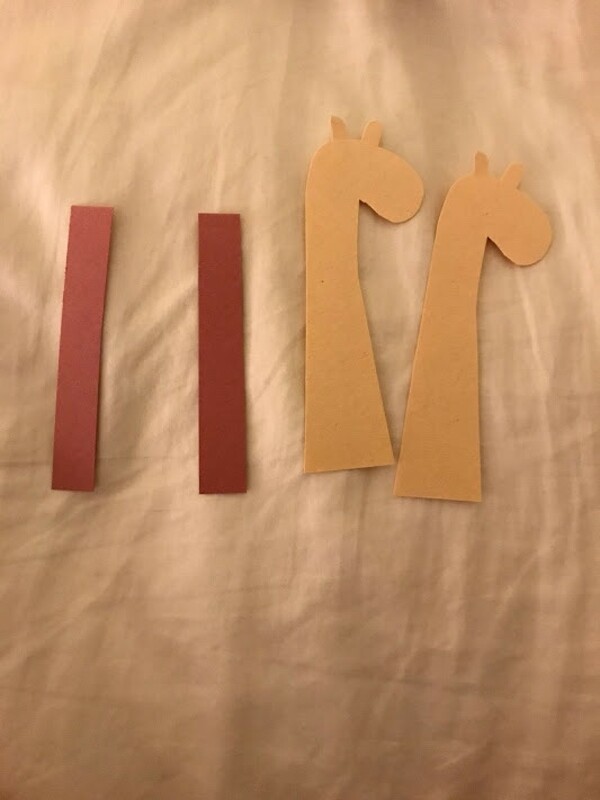 Place head in the top middle slit as pictured. 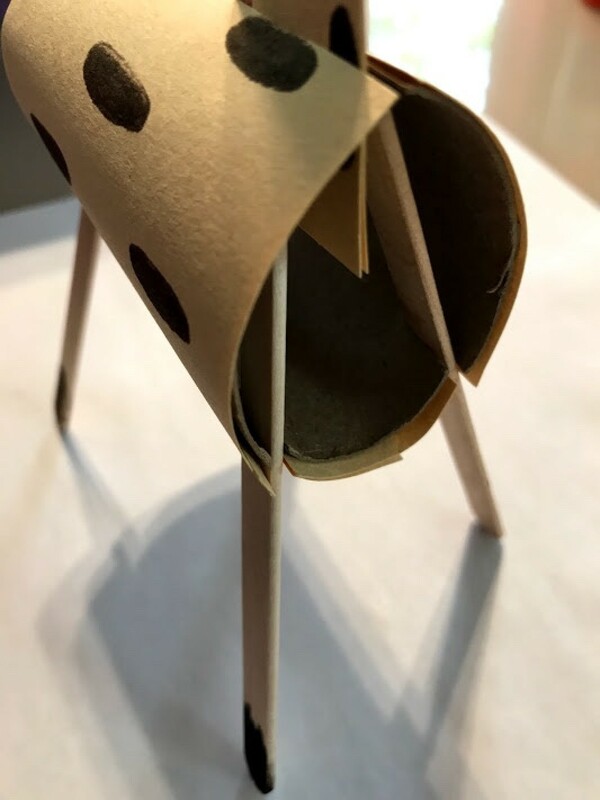 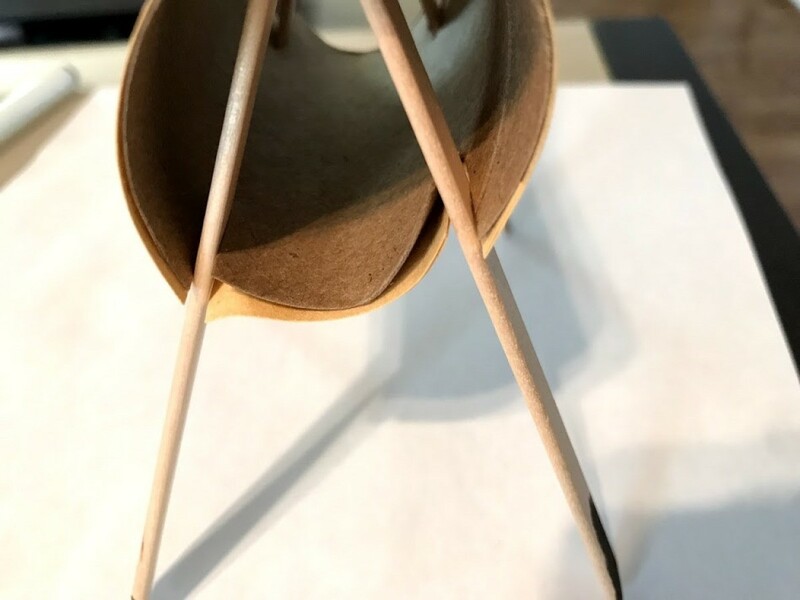 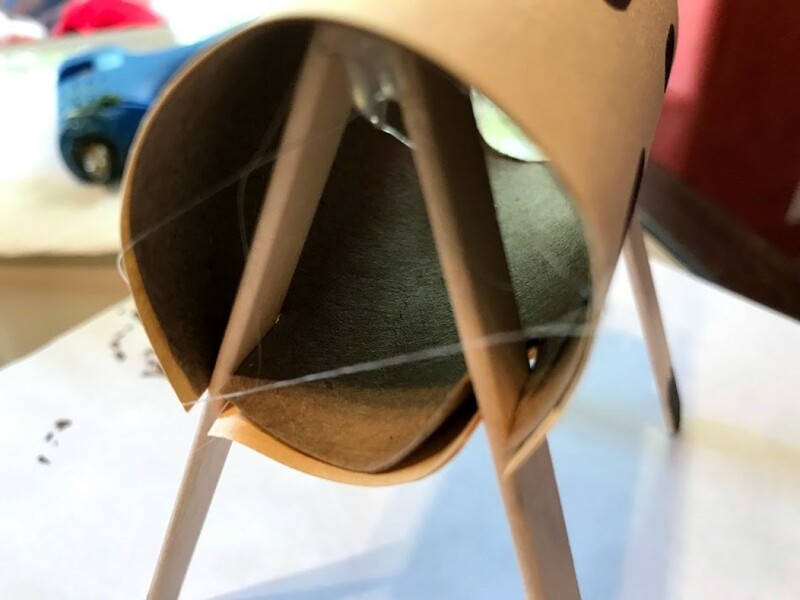 For the legs create a ^ shape by inserting the craft sticks and hot glue the legs in place. 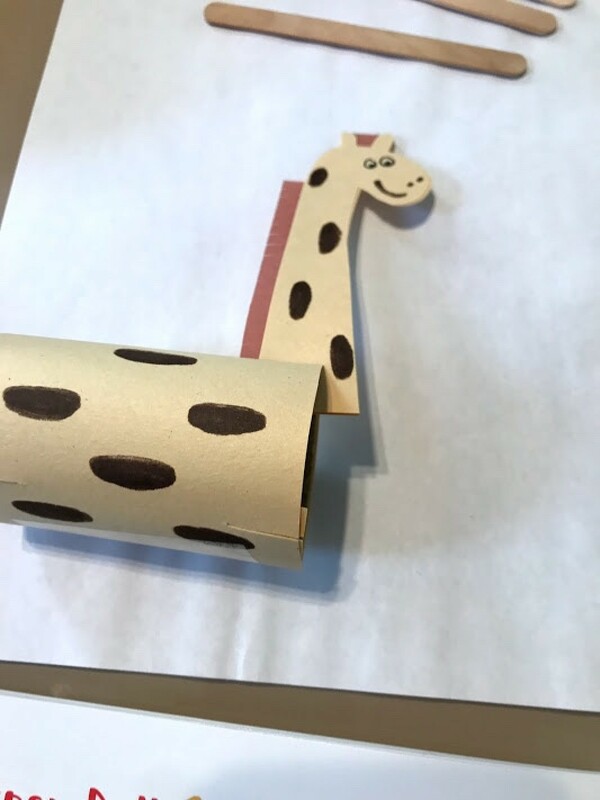 For the tail, I used a rectangle and a square piece of paper and then taped it onto the inside of the toilet paper roll.